Many relationship breakdowns involve children – which leaves the question, “How will the children spend time with their mother and father post separation?”. The paramount consideration in all disputes involving children is the concept of the “child’s best interests”. Disputes about children can be resolved by consent and ratified by filing certain documents with the Court (consent orders), as a consequence of mediation, or by court order after a trial. The best resolution to a dispute depends on the circumstances, but the most effective and long lasting resolutions involve both parents being heavily invested in negotiations, making compromises and willing to take ownership of the outcome. The Family Law Act 1975 (“the Act”) imposes a presumption of joint parental responsibility. What that means is that both parents have equal responsibility for making decisions about major long term issues in their children’s lives, such as decisions about their child’s education, health, religion, name etc. The presumption of joint parental responsibility must be applied unless it is not in the child’s best interests, or there are reasonable grounds to believe that a parent or a person who lives with a parent has engaged in abuse of the child or family violence. Equal responsibility for decision making does not mean equal time, as it is possible to make decisions equally about your child over the phone or email, even when you are living in different states, but it is clearly not practical for a child to live in and attend school in Queensland one week, then live in and attend school in New South Wales the next week. Where it is not practical for the child to spend equal time with each parent, the court will order that the child live with one parent and must consider making an order for the child to spend substantial and significant time with the other parent. In practical terms that might mean weekends and holidays, but can also include special days, such as birthdays and school events, provided the other parent is available. It is also important to understand that resolving disputes about children is an emotional process as much as it is a legal process. There are many programs, courses and facilities who offer counselling to assist separated parents in dealing with the emotional fallout of separations and we recommend you make the best use of these resources to help you transition into an effective post separation co parenting regime. 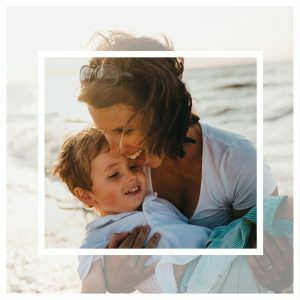 For more information about child custody and parenting disputes, we invite you to call our family lawyers on (07) 5591 2222 or contact us regarding a free 30-minute initial consultation.